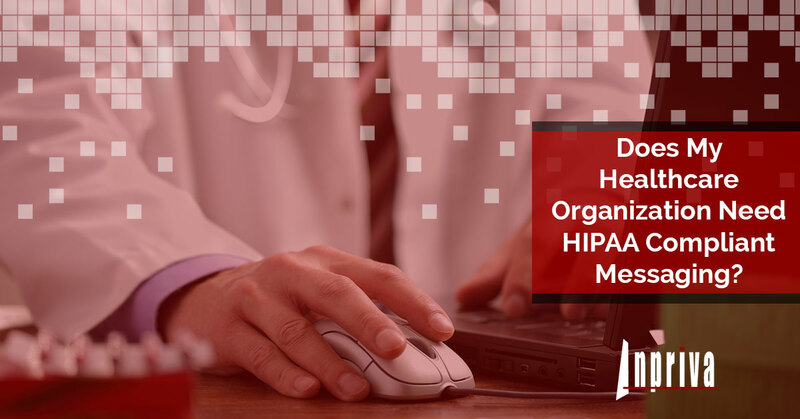 HIPAA Compliant Email: Does My Healthcare Organization Need HIPAA Compliant Messaging? If you work in a hospital, healthcare practice, or other type of medical facility, you likely use an internal messaging system to interact with others. An internal messaging system is a great way to improve communication among your doctors, nurses, and faculty, and it allows you to provide the best care possible to your patients. In order to ensure that your patient information remains confidential, it’s critical that your establishment invest in a HIPAA compliant messaging and email system. While some hospitals still rely on the old methods of loudspeakers and pagers, these outdated forms of communication can have a negative effect on your staff and their ability to meet the demands of their patients. Have unique security measures in place to make sure all Electronic Protected Health Information (ePHI) is confidential and secure during transmission. Have a way to verify the digital identity of users. Happier Patients – One surefire way to happier patients is to invest in a HIPAA compliant messaging system that allows your practitioners to connect with each patient seamlessly. Your patients will appreciate the fact that they can get in touch with their doctor online, and your staff will be grateful that they can now message other doctors and nurses whenever they need to. Quicker Response Times – In the healthcare industry time is always of the essence. If you don’t have a secure email or messaging system in place, it can take days before one doctor receives a response from another. With HIPAA compliant messaging, your staff can send and receive personal health information with the mere touch of a button. No need to wait days before receiving X-rays or prescription history information. Improved Communication – The better communication you have among your healthcare staff, the less risk of medical error. When a patient is handed off to a specialist or new physician, having a secure messaging system in place to send real-time health information can do wonders for your internal communication. Inpriva is proud to be a leader in adopting open standards and methods for the secure transmission of personal health information in the healthcare industry. Learn more about our hDirectMail Plans online or check out our plans and pricing page. If you have any questions about our HIPAA compliant messaging system, contact us today.